Resume where you left off when switching between PCs and mobile apps. 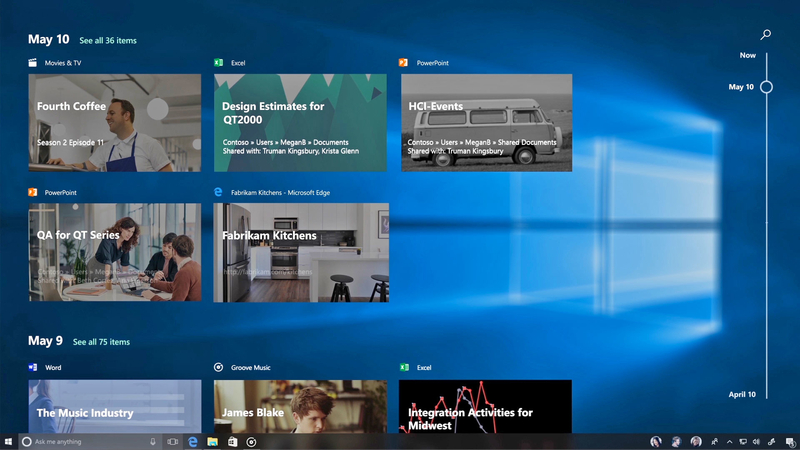 Windows 10's much-hyped Timeline feature didn't make the cut for the initial release of the Fall Creators Update, but you will get to try it over the holidays. Microsoft has released a Insider Preview for Fast Ring testers that (surprise!) finally gives you access to Timeline's continuity. Visit the Task View and you can resume what you were doing on another device, whether it's going back to a website from another Windows 10 PC (using the Edge browser, of course) or finishing work in a Word document that you'd started on your Android or iOS device. Cortana will also suggest tasks to continue, so you might barely have to lift a finger to get back to an earlier task. That's not the only addition, of course. The preview also gives you access to Sets, or groups of apps bundled together in tabs to help you focus on a given task (say, editing a report that includes text, a presentation and notes). Cortana's Notebook has been revamped with an Organizer section that gives quick access to lists and reminders and simpler setup. And did we mention that you can use Cortana to control Spotify? Other improvements include greater customization of the My People section, better resolution scaling settings (such as overriding settings on an app-by-app basis) and more advanced trackpad gestures like pinch-to-zoom. And sure enough, Microsoft's Fluent design language is spreading through the OS -- including a new look for Windows' general settings section. You may want to be cautious about using this test release on a crucial PC given that Fast Ring previews tend to be buggier than their slower brethren. And of course, it's going to be a while before Timeline and the other features reach polished releases. Even if you hold off, though, this is still a valuable update -- it's a peek at what Windows 10 will look like in 2018.